We who have sufficient – and often much – are called upon to give much. And there is no specific season for giving. It is always the right time to give. What a beautiful privilege and responsibility we have been entrusted with! This term we have 3 focus areas and all members of the Loreto Normanhurst community are invited to support these. Last term we launched this knitting project in support of the organization, Wrap With Love. You are asked to knit squares which will be made into blankets. Squares will need to be completed by Week 8 of this term. How big do they need to be? To knit a 25cm x 25cm square use No.8 (4mm) needles with 8 ply yarn, cast on 50-55 stitches and knit each row plain. This ongoing food drive is for refugees supported by the House of Welcome. As you know we have a long relationship with the House of Welcome and support them in helping refugees. In each House area there is a tub for your donations and your daughter can put food items in them at any time. So each time you go to the supermarket, pop in an extra item and have your daughter bring it in! All items must be non-perishable and healthy. Toiletries needed too. The last week in August is Refugee Week – so this will be a beautiful and practical way of making refugees welcome and cared for in our country. 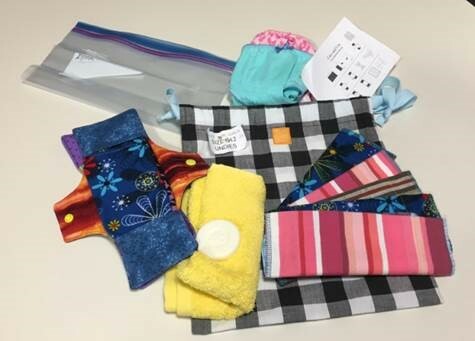 Days for Girls is a charity that provides washable, reusable feminine hygiene kits to girls and women in our world who do not have access to the sanitary products that we take for granted. During their period, these women are unable to attend school or their workplace, which leads to about 5 days per month away from their education or place of employment. Of course, this lost time builds up and is detrimental to their learning and future, and jeopardises the jobs of those in employment. In addition, poor sanitation and use of inappropriate alternatives can lead to infections. Days for Girls is so called as it aims to get back these lost days, restore dignity and to empower young women. Each kit contains 2 pairs of new underwear – oftentimes, these are the only underwear the girls and women have. A lot of the kit components are sewn by chapters (groups) of volunteers, who also pack the kits with the other items for distribution to Indigenous girls in Australia and to young women the world over. 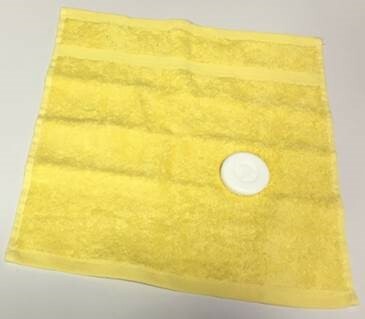 Below is an example of a kit. We are asking you to donate underwear, hotel-size soaps and face-washers that we can send to the charity. Good quality, well-made kits are known to last 3 years and so quality control is stringent. People are always cold. People are always hungry. People’s lives are seriously affected by poverty. These things don’t just go away. What a joy to know WE can do something about this. If anyone has material possessions and sees his brother or sister in need but has no pity on him, how can the love of God be in him? Dear children, let us not love with words or tongue but with actions and in truth.